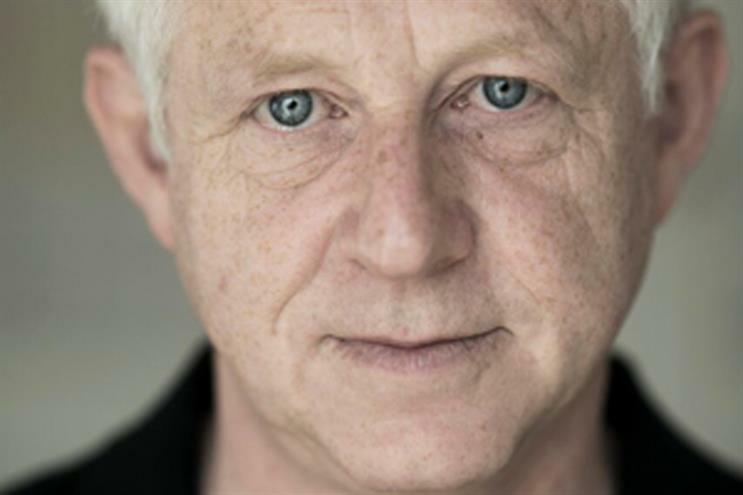 Richard Curtis will be honoured with the Cannes LionHeart Award in recognition of his continued involvement in charitable initiatives that include Comic Relief, Red Nose Day and the Make Poverty History campaign. In this exclusive interview with Campaign, the filmmaker and humanitarian talks about "purpose-driven" advertising, a Love Actually sequel, and his new film. The man behind British rom-com classics Love Actually, Notting Hill and Four Weddings and a Funeral is not getting much sleep. It's down to the general election, the rise in homelessness "with a vengeance", his 18-year-old’s exams, and the new film that he’s busy writing. Curtis says he also worries about threats to social care, mental health and increasing poverty, yet he is far too optimistic to not think about whether love prevails. The results of the general election mark "some kind of a victory for a more kind, compassionate and caring society, and I hope the end result will be in the right direction of travel," he says. Curtis’ advocacy for equality and justice is well-documented. He founded Comic Relief in 1985, in partnership with comedian Lenny Henry. It launched on Christmas Day from a refugee camp in Sudan, in response to the African famine. But being the poster boy for "doing good" takes more than just being a cheerleader for good causes. Curtis knows how to use the power of communication and entertainment to make a better world. He is the man behind the Make Poverty History campaign, a coalition of more than 400 charities, unions and faith groups. Since 2015, he has been working closely with the United Nations through his Project Everyone initiative to help give prominence to the Sustainable Development Goals (SDGs), 17 targets aimed at achieving three main objectives in the next 15 years – end extreme poverty, fight inequality and injustice, and tackle climate change. "At every point, I’ve tried to find entertaining and engaging ways of dealing with these issues," Curtis says. The ambitious Project Everyone initiative is no different. "The idea is to talk about the goals (SDGs) in an interesting and a very noisy way." Last year, the project created a remake of the Spice Girls’ Wannabe video. In 2015, it launched the World’s Largest Lesson, an initiative to teach children in over 100 countries about the SDGs. 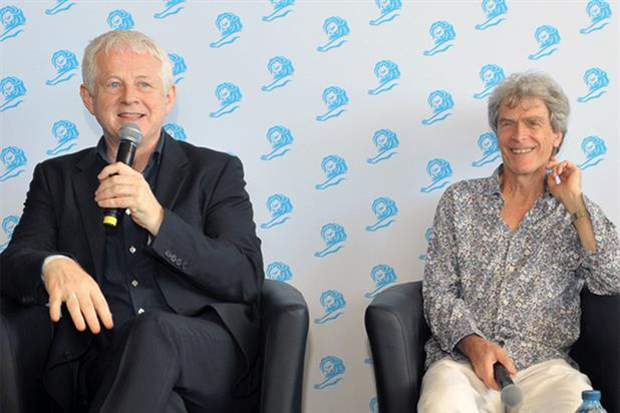 The same year it also launched a global cinema ad, created by Sir John Hegarty (below, with Curtis) and Aardman Animations, dramatising the moment 193 world leaders signed the deal to ratify the 17 global goals. It is extraordinary, he says, how businesses have also started to think about these goals. "You just have to look at the likes of Ikea, Walgreens Boots Alliance and Unilever — all aligning their businesses with some of the goals as a way of both genuinely improving the way they work and moving away from token CSR gestures into something that is integral to their businesses and the communities they live in," Curtis says. "It is happening slowly but surely. I talk to investment bankers who say there will come a time when they will advise people not to invest in companies that aren’t paying attention to the goals because all businesses will suffer." "I’m seeing good progress," he adds enthusiastically, about how businesses across the world are employing strategies for "doing good". Meanwhile Curtis almost shrinks away from talking about his Cannes LionHeart Award. "It’s all a bit odd. I’m receiving it (the award) on behalf of all the people doing the real work." But isn't there an irony that the award for all his humanitarian efforts will be at the Cannes Lions Festival, which some critics see as the stage to spend huge sums of money to enter awards or put on lavish shows? Why not put all that money on doing good? Curtis refuses to buy into this simplistic argument. "I’m aware of the huge expense Cannes Lions is. I do Comic Relief and that is a very expensive show to make, but you gotta spend money to make money and change things." Curtis adds that his view about advertising as a force for doing good has been reinforced by his friends Paul Weiland and Sir John Hegarty who through the power of creating compelling messages have helped his charity endeavours, whenever he needed them. "We are seeing more purpose driven advertising. From the Budweiser ‘Immigration’ ad during the Super Bowl to D&AD Impact awards that reward the best social good and ethical advertising, the direction of travel is very good," he says of the advertising industry. Remaining firmly optimistic in the face of the trust-deficit era, he reasons that the years between 1990 to 2015 have been the greatest 25 years in human civilisation because both extreme poverty and child mortality have been halved. "That is why I’m such a supporter of the Goals — they’ve put out a plan stating the optimistic possibilities. People like me have to believe in these possibilities." Irrepressibly sanguine about what the future holds, what are his ambitions for the future of his humanitarian efforts? And will he ever be tempted to write that Love Actually film sequel? "It will be an absolute dream to create different content for each of the 17 Goals and get businesses interested in both the creative content and the idea behind the universal call to action to end poverty, protect our planet and ensure safety and prosperity for all." However, Curtis is not writing the sequel. "I’m not gonna do it," he says. "But after having done the 10-minute Love Actually sequel for the Red Nose Day [in March this year] I’ve been thinking of asking a few friends if they might consider creating 10-minutes sequels as a genre." His next big project is a new film he’s currently writing, which he plans to finish next year, to launch on the big screens in 2019. "Movies are slow, very slow."